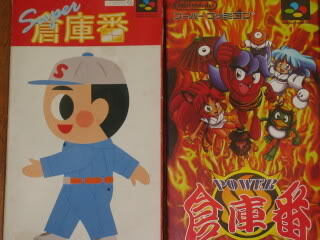 It’s hard to believe, but on January 1st, 1999, Nintendo published and released Power Soukoban. 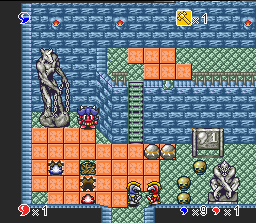 The SNES was long “dead” by that point, but that didn’t stop Atelier Double from developing this game. 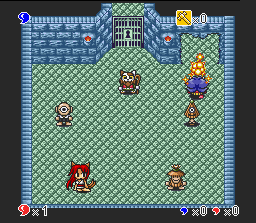 The same firm that developed such great Super Famicom games as Ranma 1/2: Chougi Ranbu Hen and Umihara Kawase. 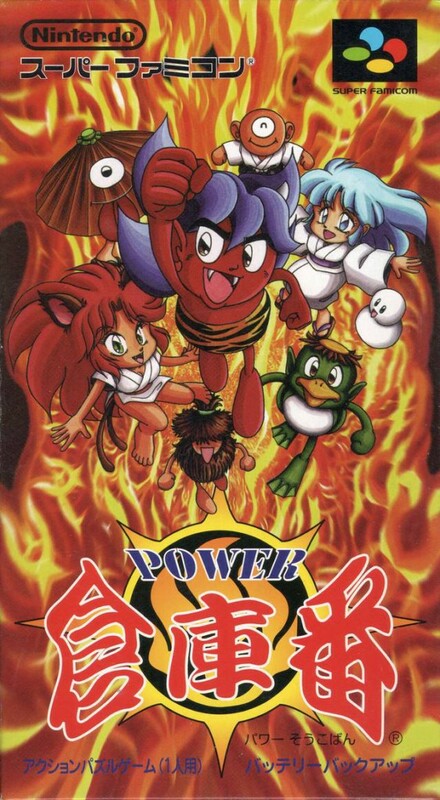 I guess they wanted to develop one last memorable Super Nintendo effort, because they succeeded in doing that with Power Soukoban. 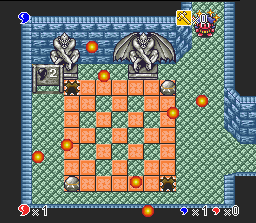 Taking control of a devil, you go through a series of mazes with the same goal in mind as SUPER SOUKOBAN. 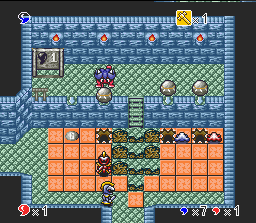 Pushing boxes (this time stones) to cover purple dots (this time pits). The modern twist? But of course, STAYING ALIVE. Staying alive? Yes, for from the excavation comes forth HELL’S ARMY! OK, in all honesty, more like Hell’s Rejects, no, Purgatory’s Rejects. But you get the idea! Adding a more action-oriented flare to a classic formula? TAKE MY MONEY. Yes, please! 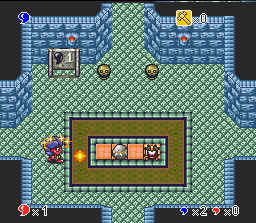 Another modern twist is the ability to throw fireballs. You can also charge to create a power shot a la Megaman. And there’s a run button as well. 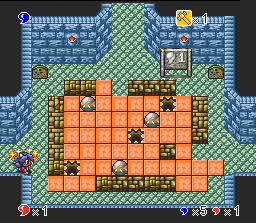 Whereas SUPER SOUKOBAN was straight-to-the-point, POWER SOUKOBAN features multiple paths, multi-tier puzzles and there are even friends to guide you along with hints (in Japanese, mind, but nothing you can’t do without). And off you go. There are many rooms and you can run to the next without solving the current one, but it’s advisable you take care of each one as you go along. Multi-tier puzzles adds a new dimension to the ole formula. As you advance, more pits means more enemies. As long as the pits remain open, baddies will keep spawning. But again, they’re really a non-factor… but at least they’re there, eh? 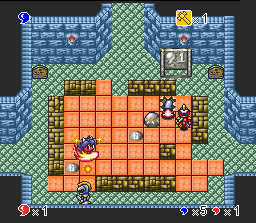 Plus, when defeated, some drop a power-up to aid your quest. 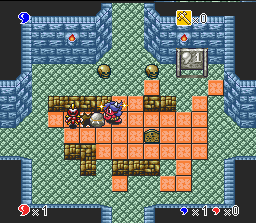 I said earlier it’d be wise to finish each puzzle as you confront ‘em. However, for some the solution is not immediately available. 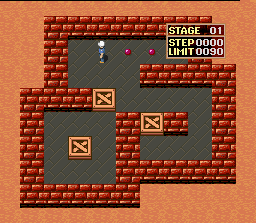 Only by advancing do you later arrive at a point where you can then solve a previously impossible puzzle. Confused? You needn’t be. 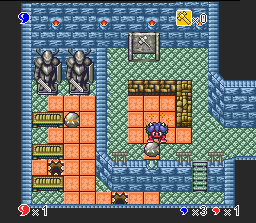 See, here you enter this room on the lower floors. Blasted stones… how can you push them to cover the slots from this vantage point? The answer is you can’t, and remember you can’t pull stones, only push them. A-ha! 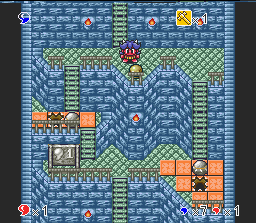 Later traversing to higher ground, you’ll find a room leading downstairs where you can now use your power shot to shove the blocks where they belong. SS had you going from one warehouse to the next. PS, on the other hand, is different. 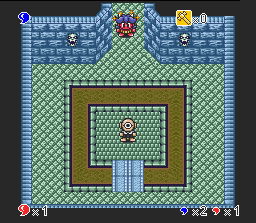 Power Soukoban doesn’t have levels, per se. 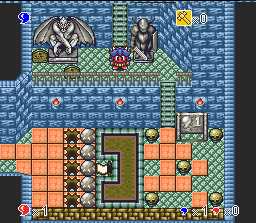 Rather it’s interconnected like (Super) Metroid and Castlevania: Symphony of the Night. Let’s take a look at some more screenshots. 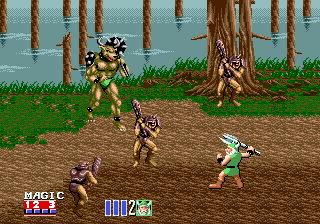 Minotauros from Golden Axe II? Can you complete this while avoiding the circulating ring of fire? 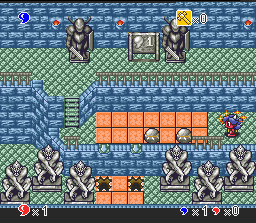 Another major difference from Super Soukoban: you fight bosses. These include more traditional American-looking fiends such as Medusa and Frankenstein to name a few. 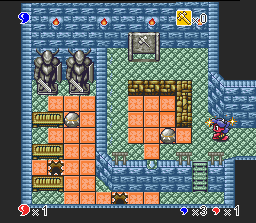 These end-of-stage bosses are entirely combat-based and do not involve any puzzle solving whatsoever. It’s a refreshing change of pace that lends well to Power Soukoban‘s more action-oriented slant. 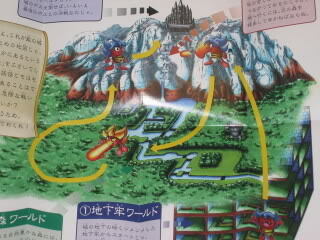 Something to take note of if you buy this game CIB: the game’s manual is a fold-out map, with instructions on the back side. So don’t fret when you don’t find a regular manual inside the box. 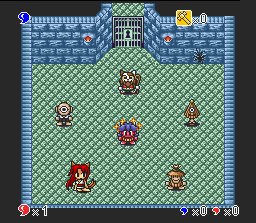 Power Soukoban is a fun game that brings an entertaining twist on the old Soukoban formula. Although the graphics are rather unimpressive considering this game was released in 1999, it’s all about the gameplay and that’s where this game delivers. Sure, it may get a tad repetitive here and there, but it’s a fun little game that is a fascinating footnote in SNES history seeing as it was released in 1999, years after the system was long considered “dead.” Highly recommended! So, Super Soukoban or Power Soukoban? While I think both are well worth owning, if I had to pick one that I like better, I would have to say Super Soukoban. While I enjoy the modern update of Power Soukoban, there is something pure about the original that can’t be denied or dethroned. The two games definitely complement one another and are must-owns for anyone who enjoys this genre.